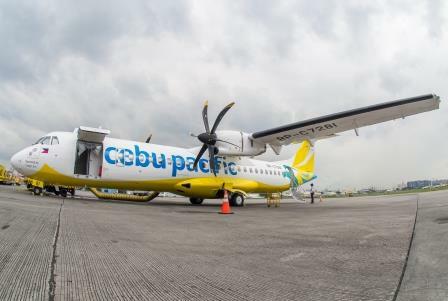 Cebu Pacific has announced they will engage Switzerland-based IPR Conversions Ltd to convert two of the airlines ATR 72-500 passenger aircraft into freighter planes, which will make Cebu Pacific the only passenger airline in the Philippines with dedicated cargo planes. "We will be able to offer cargo capacity that no other carrier in the Philippines can provide," said Lance Gokongwei, President and CEO of Cebu Pacific, "With the freighter aircraft, we will further support the growing needs of the logistics industry, especially as the Philippines' e-commerce businesses expand rapidly and look for faster delivery schedules." Cebu Pacific expects to receive the first of two converted aircraft in the fourth quarter of 2018. 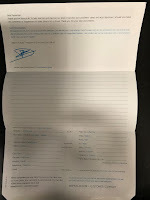 IPR Conversions, based in Lausanne, Switzerland, is one of the leading ATR freighter conversion service providers in the world. The conversion of two of CEB's passenger ATR 72-500 aircraft into dedicated air freighters involves the installation of a large cargo door, allowing standard containers and pallets used throughout the aviation industry to be loaded. This marks the first foray of Cebu Pacific in operating specialized aircraft to transport cargo. With a longer body to fit in more freight, an increased wingspan and more powerful turboprop engines, the ATR aircraft is ideal for expediting the transport of high-value and time-sensitive commodities such as marine products, computing equipment and even heavy machinery to various points across the country. It is suited to landing and taking-off in airports with runways less than 1.2 kilometers long—which is too short for jet aircraft. Only about one-third of the 90 airports in the Philippines can land jets.